Kids grow extremely fast, and it seems like every month you need to buy them new clothes, but this growth is key to them becoming healthy grown adults. Healthy sleep in incredibly important for growing kids so selecting the right mattress will ensure that they get a comfortable and restful sleep each night. It will also support their growth spurts through puberty because the wrong mattress can have adverse effects on their overall sleep quality leading to long term issues. It can be difficult choosing a mattress for yourself, let alone your child. We’ve made it easier by showing you all the shopping tips to make the buying decision easier and show you the best mattresses for kids. The Simba mattress is a sleeping surface that your child can grow into. The mattress comes in many sizes ranging from small single to emperor size so there will be a size that fits your child's current bed frame but also gives you the option buy sizes up to allow for any growth spurts. This durability of the mattress allows you to consider any future puberty growth spurts as there is a ten-year warranty that comes with each purchase. The mattress is versatile and is suitable for all sleeping positions due to its Visco memory foam that comforts and aligns, while it also has a spring coil layer which ensures your child’s spine remains aligned. The surface of the mattress is hypoallergenic, so it’s suitable for your child if they suffer from allergies. The hybrid nature of the mattress means there is substantial motion isolation so if they do share a bed with a sibling, disturbances will be kept to a minimal. If your child has a bunk bed, then Simba also sells a bunk bed version of the mattress that has the dimensions to be compatible with a bunk bed frame. OTTY have delivered a hybrid mattress that combines all the benefits of different materials to create a strong performing product that will leave your child feeling exceptionally well rested every morning. The mattress is also OEKO-TEX, and CertiPUR certified having passed all the necessary tests and regulations that have been set out. The cover is also removable, washable and has hypoallergenic qualities which means it’s ideal for children that suffer from dust or skin allergies. The mattress will deliver a cool sleeping environment for your child, so they wake up fresh the following morning without the grogginess that a poor mattress can bring. The mattress is infused with cooling gel so unlike traditional memory foam it promotes air flow to remove excess heat leaving air to circulate in and out of the perforations in the side of the mattress. The high-density foam brings a sturdy base to the mattress so even for the most active child it has the durability, not to sag and dip. OTTY may not have been the first mattress manufacturers on the market, but they are here to stay. The original Eve sleep mattress has made its mark on the mattress industry, and they’ve gone one step further and made a lovely hybrid version of the mattress to include even more features to give your child the perfect sleep. The primary layer is memory foam layer that provides good firmness and bounce while contouring to the body of your child. 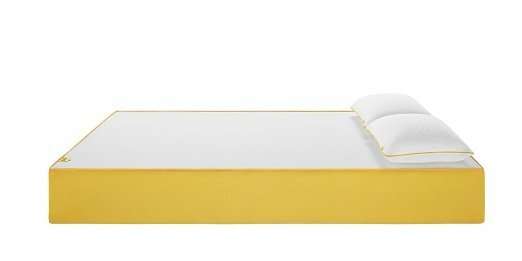 Unlike traditional memory foam, this has been manufactured to have an open cell structure which has made it around 30 times more breathable than traditional memory foam, so your child doesn’t overheat throughout the night. The spring coil layer also adjusts to your position which makes the mattress suitable for sleepers of all positions. The zoned spring section relieves pressure from the shoulders and hips while also being encased for added support. The ten-year warranty means that the mattress can last through your child’s teenage years before it needs to be replaced. The top cover is also easy to remove with one zip and can be machine washed. When the cover is in action, it also has moisture wicking qualities to remove heat from the surface. The Ghostbed is a lovely sleep surface to bring your child through their teenage years delivering consistently high-quality sleep night after night. The Ghost bed combines a mixture of comfort and full body support with a responsive foam layer which is not only comfortable but also works to regulate your body’s temperature by having an open cell structure which promotes air flow. The mattress is covered with a removable material which also has heat wicking benefits to keep your child cool throughout the night. Not only does the mattress come with a 101-night trial but is also vacuum sealed and delivered to your door, so you don’t even have to leave your house to buy or collect it. The high-density base layer provides added durability and support regardless of the position that you sleep in. It also ensures that your child’s spine remains aligned for the full night while not being too firm so your muscle and joints can fully relax. With a 20 year warranty, you can be sure that this will last a significant period before it needs to be replaced. It also has strong edge support, so if you’re a parent who sits on the edge of the bed, you won’t sink into the mattress. If you’re looking for a mattress that is strictly memory foam, then the Emma mattress is for you. This mattress has kept it simple, yet the finished product is an extremely comfy yet supportive sleep surface. Night sweats will not be an issue as the mattress is covered with a breathable cover that releases any moisture to keep your kid cool while also being removable and machine washable not only so you can easily wash it regularly but if there any spills or accidents that happen. The Visco memory foam layer provides effective body distribution to support and align the spine. A significant amount of design work has gone into the creation of this mattress so you can be sure that these last many years without the quality dropping or sags developing similar to what happens with poorer quality mattresses. Your child can also test the mattress out for 100 nights with no obligation to keep it beyond this period. What to look for in a children’s mattress? Your child's sleeping position will determine what type of mattress that you need to buy, which for back sleepers doesn’t restrict you much. But if your child is a stomach sleeper, then they will need a softer mattress. Children often sleep in different positions from night to night so the best mattress will be a hybrid which caters to front, side and back sleepers. Ideally, if your child is a front sleeper, then they would change, but this is easier said than done if they’ve already been sleeping like that for their entire life. The support that a mattress provides is one of the most important factors when buying a new kids mattress. Support describes how well the mattress aligns the spine and provides an even sleeping surface for the user. Support is even more critical for a child as they are in a key growth phase, so it's vital that you choose a model that has superior support. Mattresses that are too firm or too soft can cause issues, especially if the mattress is too soft as this can lead to sagging problems in the middle. Younger and smaller children need a mattress that is shorter in height, so it’s easier for their bodies to get in and out of bed without struggling. Alternatively, you could get a lower bed frame, so the mattress is closer to the ground. If your child is over the age of 9-10 years old, then they shouldn’t have any problem getting into a bed of any size. The size of the mattress is essential for many reasons; firstly the size of the mattress will determine how comfortable the child will be in bed. It's normal for a mattress to last many years so you can afford to buy a larger sized mattress with the thought that they will grow into it while the build quality will not deteriorate in that time. At a minimum, a child’s mattress should have enough width that they can turn from side to side in the bed with ease. This also prevents the child from falling out of the bed throughout the night. You need to take into account the current age of your child and the amount of growth that they still have left. Having this foresight will mean that you won't be buying a new mattress every year when they outgrow it. As a child grows, their weight rises which mean that they need more support from their mattress for adequate spinal alignment. Selecting the right mattress can mean that you don’t have to replace it for ten years. If your child is nearing the age where their growth spurt will take place, then you may want to purchase a longer and broader mattress. You could also buy a cheaper mattress and replace it when their growth spurt is completed; however, from a budget point of view, this will end up costing more. If your child suffers from allergies, then this can wreak havoc if you haven’t bought the correct mattress. Dust mites and other bacteria thrive within places like mattresses which can cause frequent allergic reactions and flare-ups. Because of this, you should look for a mattress that has hypoallergenic qualities especially if your child is prone to allergies. This can range from all natural mattresses to hypoallergenic covers. To take this further it’s recommended that you regularly wash the mattress cover to keep it clean and fresh. Understandably price will play a key role in the final mattress that you choose for your child, but we feel that sometimes too much emphasis and weighting is placed on this which often ends up with a cheaper inferior model being purchased. You’re buying for your child so you need to be sure that you’re not negatively affecting their overall health and that it can last the test of time and grow with them. A more affordable model may give you the assumption that you’re saving money but it's not always the case because it may need to be replaced quicker. If you invest in a higher quality product that will last for years then this will often be cheaper in the long run than having to consistently buy cheaper models, that frequently need to be replaced due to being made with lower quality materials. When making a final decision on a products price you need to evaluate the additional benefits and features which have led to this final price such as materials, build quality and comfort. Overheating whilst sleeping can have huge negative effects on your child's health so it’s important to choose a mattress that promotes positive air flow and has a high level of breathability. Innerspring and latex mattresses have good airflow qualities, whilst memory foam has traditionally been a material that sleeps hot however several companies have innovated on this and created gel infused cooling memory foam. Additionally mattress covers often have moisture wicking capabilities for further cooling benefits. This especially an important consideration if you already know that your child is prone to sleeping hot. Firmness relates to how soft the mattress feels when you lie on it. Mattresses come in a range of different firmness options giving you a great choice. These firmness options generally range from soft to firm with choices in between. Medium firm is usually the most popular and caters to most people, however this will depend on your weight as children who weigh under 130 pounds will need a slightly softer mattress so that there is some sink whereas heavier children will be better suited to a mattress that is rated from medium to firm so that they don’t sink too far into the mattress. When buying a mattress for a child, you need to think more long term and select one that can accommodate their upcoming growth spurts, so you’ll want to avoid mattresses in odd sizes or that only fit specific sizes of kids bed frames. For example a double bed will last longer and still be big enough when they go through puberty, especially when they come with a long warranty length as this shows that the company believes in the build quality of the mattress and that it will last many years. Whatever the age, children are prone to making a mess whether this is food, dirt or general wear and tear. Because of this it’s important to select a mattress that is easy to clean decreasing the chances of permanent damage. Mattresses can often come with removable covers or can be waterproof which makes them easy and quick to clean. Motion isolation is essentially the movement the mattress makes when one person move around when using the mattress. Many mattresses are not designed to absorb and reduce the amount of motion transfer that it generates. Motion transfer is usually an issue when a person changes positions, and is especially an issue if more than one child will be sharing the same bed. If this is the case, it's recommended that you look for a mattress that minimises motion transfer so the other child is not disturbed when one child moves. Children are often sensitive to the slightest of noises throughout the night, and if this happens frequently then this will have a negative effect on their overall sleep quality leaving them feeling tired in the morning. Innerspring mattresses may produce a slight squeaking sound due to the metal parts inside, so if your child is noise sensitive then a latex or foam mattress model may be more suitable. Children often continuously change their mind about the preferred firmness of their mattress. There are flippable mattresses that have a different comfort firmness on each side and can be easily flipped so you can switch between the two. These mattresses still have a strong support core that is activated on either side. To switch you just flip the mattress over, but this will probably need to be done by an adult as mattresses can be fairly heavy, especially for children to lift. Children like to bounce on mattresses which can not only hurt them but also cause damage to the mattress lowering its life. If you want to avoid this, then you can choose a mattress that is manufactured from memory foam or latex as they are less responsive to bounce in comparison to a spring loaded mattress. Latex mattresses are similar in performance to memory foam, however if you choose a natural synthetic mattress then you will get the added health benefits. Latex mattresses are also extremely effective at cooling and have strong motion isolation. When you lie on a latex mattress it contours to the shape of your body whilst also having bounce and responsiveness so you don’t sink into the mattress. Innerspring coils are a durable mattress filing which is great for children as they can take a battering without losing shape or size. Innerspring coils work to distribute your child's bodyweight effectively across the length and width of the mattress so it doesn’t dip or sag. There are two main types of innerspring coils. Open coils are more affordable but less durable and effective and are fused directly into a layer in the mattress. Pocketed coils are inserted and work individually to contour to the shape of the user's body which makes them more effective but also more expensive. Pocketed coils also promote airflow as cool air can move in between the individual coils whilst dispersing heat, so your child can stay cool throughout the night. Memory foam is one of the most popular mattress filings and quickly responds to heat and pressure to contour to the user’s body to provide support and comfort as they sleep. Once the pressure is released, the mattress then returns to its original shape and size. This hug effect helps to relieve tension and pressure of the joints which leads to a more restful sleep. Memory foam also isolates motion so if two children share a bed then they will not be disturbed when one moves. Memory foam mattresses also are very durable and it’s normal for them to last ten years which is great for a growing child. A hybrid children’s mattress includes a blend of different materials so your child can experience all the benefits that each one brings. So for example a hybrid mattress could contain memory foam for its pressure-sensitive benefits but also and innerspring coils to effectively distribute their weight over the mattress. 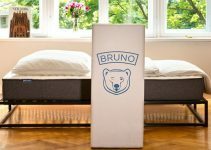 The new mattress-in-a-box companies are leading the way with hybrid mattress and it makes perfect sense as you get more quality for your money. We know that choosing a mattress for your child will be difficult no matter how much information is available but hopefully you now know what to look out for, and how to cater to your child’s individual needs. Just remember that the best mattresses for children are a higher quality which is the most important thing to support their growth and development.